Annual Festivals / Entertainment / Outdoor Events / Sporting Events in or near Kenilworth, Southern Suburbs in Cape Town, South Africa. The elite of South African horseracing will gather for the running of the L’Ormarins Queen’s Plate at Kenilworth on Saturday, 10 January, in a celebration of art, passion and equestrian excellence. The L’Ormarins Queen’s Plate has distinguished itself as the most prestigious weight-for-age race in South Africa. It was first run in 1861 in honour of Queen Victoria. In January it will again bring together the most noble thoroughbreds in the country against an august backdrop of blue and white on a day of fine dining and world-class entertainment. 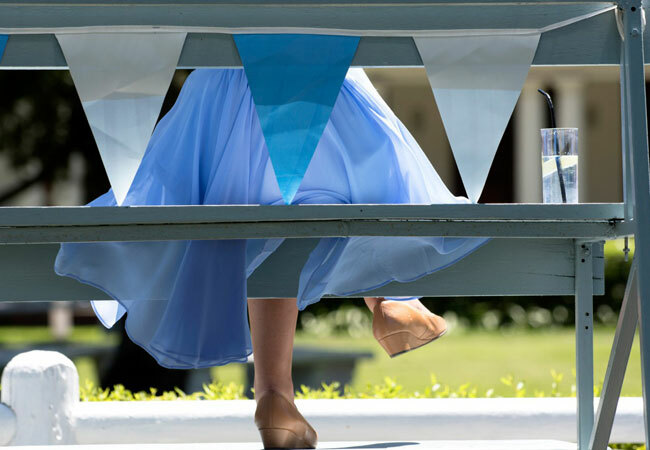 The white and blue elegance that will underpin the Best Dressed and Best Hat competition will be judged by some of South Africa’s leaders in the fashion industry, namely Sam Walker (PopYaCollar), Emily Bell (Marie Claire), Jacqui Kolbe (Milliner) and Tammy Tinker (British Vogue). The day will be captured by professional photographers in what has become known as The L’Ormarins Moment. The popular Style Lounge will include culinary delights from sushi to gourmet burgers and sandwiches, as well as a selection of the finest Anthonij Rupert Wines. There will also be a selection of vintage cars on display from one of the largest collections in the world, courtesy of the Franschhoek Motor Museum. The L’Ormarins Queen’s Plate has captured the imagination of personalities and sporting icons alike, including the legendary Gary Player, Ernie Els, Bryan Habana, Schalk Burger, Jacques Kallis and Graeme Smith, as well as celebrities Francesca Cumani, Kitty Spencer, Joanne Strauss, and Jen Su. In January, it will once again provide a fitting stage upon which South Africa’s greatest thoroughbreds can build their legacies.